During what was otherwise a pretty boring Super Bowl, horror fans were teased with the concept of a reboot of The Twilight Zone. Jordan Peele, the man who brought us the fourfold Oscar-nominated Get Out last year, will be fronting the re-imaging of the 1950s telly show, he announced during the sports event. 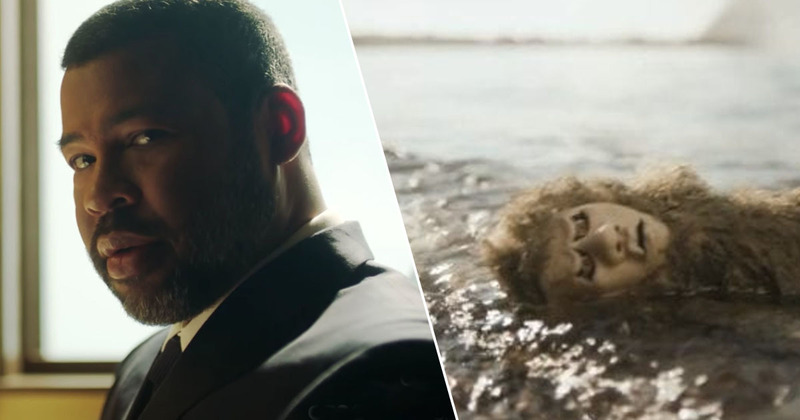 After a few weeks of waiting, eager anticipators and Peele fans have been treated to the first glimpse of the new show’s aesthetic and some hints at plot. Knowing Peele, it’ll leave you feeling unsettled as hell. The TV show has been around for decades, first debuting in the late 50s, before being rebooted in 1985, then again in 2002. But with American actor, comedian, writer, producer, and director, Jordan Peele on board, it’s sure to offer a newfound modern take on the creepy and mysterious with a side of social commentary. He brought the viewing audiences a truly horrible, self-aware and mesmeric experience with Get Out, an examination of racial bigotries and biases with a despicably violent supernatural twist. Meanwhile, The Twilight Zone reboot trailer showcases a stellar cast featuring Adam Scott (Parks and Recreation) Kumail Nanjiani (Silicon Valley), John Cho (Harold & Kumar), Tracy Morgan (30 Rock) Steven Yeun (The Walking Dead) and many more. Following the trailer’s release, Scott took to Twitter to say how pleased he is to be involved. As a kid I would wait all day in anticipation for The Twilight Zone rerun every night at 11pm, and had to keep the volume low so I wouldn’t get caught staying up so late. Mind was blown every time. It’s still my favourite show and I can’t believe I got to be a part of it. The original by which a young Scott’s mind was blown featured horror tropes such as living dummies, mannequins and dolls who just wouldn’t die, vampires and werewolves, Frankenscience doctors and some serious Oedipal complexes. The producers even did wax figures long before Pairs Hilton got skewered in scenes which would go down in cinematic history. With all that horror gold to build upon, as well as new CGI technologies, The Twilight Zone (version 789356817896159) is set to be pretty epic. The first two episodes of Twilight Zone premiere on CBS All Access on April 1.